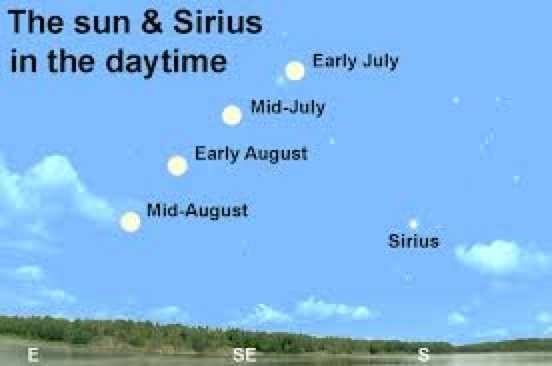 Sirius is a binary star system consisting of two white stars orbiting each other with a separation of about 20 astronomical units (3.0×109 km; 1.9×109 mi)[note 7] (roughly the distance between the Sun and Uranus) and a period of 50.1 years. 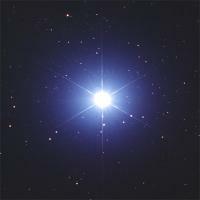 The brighter component, termed Sirius A, is a main-sequence star of spectral type A1V, with an estimated surface temperature of 9,940 K.Its companion, Sirius B, is a star that has already evolved off the main sequence and become a white dwarf. 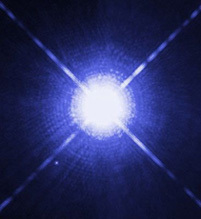 Currently 10,000 times less luminous in the visual spectrum, Sirius B was once the more massive of the two. The age of the system has been estimated at around 230 million years. Early in its lifespan it was thought to have been two bluish white stars orbiting each other in an elliptical orbit every 9.1 years. The system emits a higher than expected level of infrared radiation, as measured by IRASspace-based observatory. This may be an indication of dust in the system, and is considered somewhat unusual for a binary star. The Chandra X-ray Observatory image shows Sirius B outshining its bright partner as it is a brighter X-ray source. 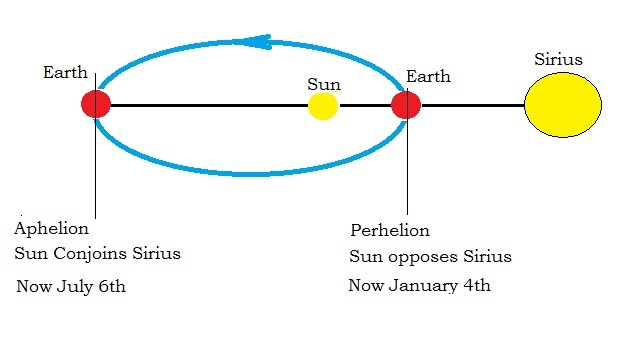 Sirius A is hotter, bluer, and younger than our Sun, Sol. That’s odd, Some people pronounce my name Tishiya, and I always correct them. Now, I know they are calling me Sirius! LOL!!! 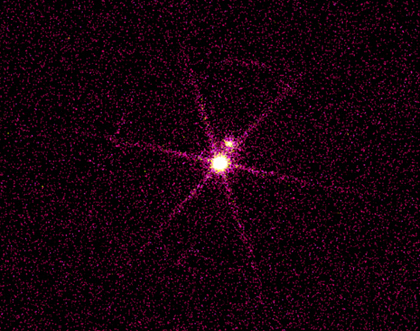 A Chandra X-ray Observatoryimage of the Sirius star system, where the spike-like pattern is due to the support structure for the transmission grating. The bright source is Sirius B. Credit: NASA/SAO/CXC. 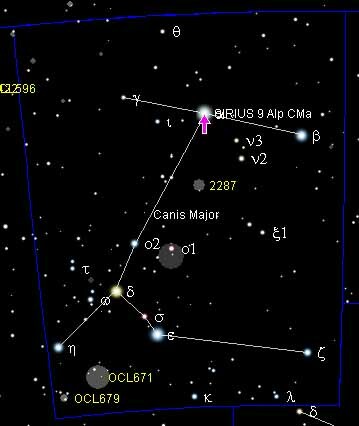 This entry was posted in Celestial Events and Cultural Astronomy and tagged Canis Major, Sirius, Sirius Binary Star System, Sirius Star System by tchiya. Bookmark the permalink.